You might have noticed that I have been missing in action the last three weeks. I have not abandoned crochet. In fact, I have been doing nothing but crocheting. Well, as much as my “real life” will allow me to, at any rate. 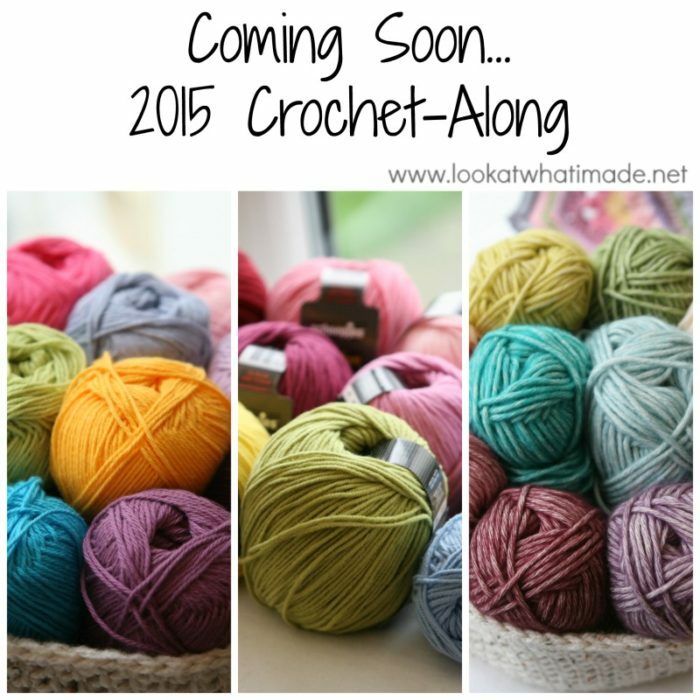 Those of you who followed the Block a Week CAL 2014 will know that the CAL (crochet-along) was hosted by the Official CCC Social Group on Facebook (you have to be logged into Facebook in order to access the link to the group). The mastermind behind the CAL was my good friend Kimberly Slifer. In 2015 I will be teaming up with Kimberly again for another fun, mystery CAL. Those of you who follow me on social media (or who belong to the Official CCC Social Group already) will have seen a few hints regarding what the blanket will look like and which design it is based on. Please do not assume anything. I know it is tempting to get started, but I suggest that you wait until the CAL actually starts. Update: You can now find all the information and links for the CAL HERE. We have translations, videos, groups, and a map! The CAL will start January 18th 2015, and will run for 20 weeks. Remember to mark the date on your calendar! Please note that this project is a continuous, square blanket, which has been specifically designed for this CAL, not a lot of individual squares like the last one. It will be worked in the round, with photo tutorials for each part being released weekly on a Sunday. All instructions will be written using US Terminology. See THIS CHART if you need help with US/UK conversion. 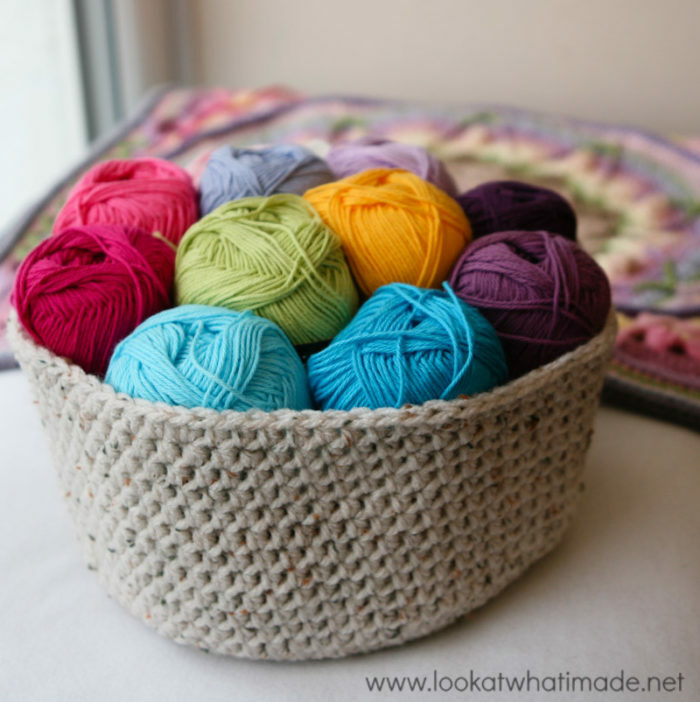 The pattern was designed for worsted weight yarn and a 5.5 mm crochet hook (US I/9 UK 5), which will give you a finished size of 1.8 meters squared. That’s just shy of 6 feet, for those of you who live on the other side of the pond. You are not, however, limited to worsted weight yarn. I will be using Scheepjeswol for the CAL and I will be making 3 blankets, each in a different yarn weight (and therefore a different size). You can find more details about that below. If you don’t like the idea of a square blanket, don’t fret. We will be supplying optional extra squares for those of you who wish to make the blanket rectangular. On top of that I will do a post that will give you the tools to “grow” your blanket yourself, should you wish to make it even bigger. Below you will find the size and total yardage details for the 3 different yarn weights (or sizes), as well as a list of the colours I intend to use for each one. Which colours and how many colours you choose to use is totally up to you. This will be a nice big blanket. Not as big as a queen size bed, but certainly big enough to cover me from my head to my toes. I will be using 10 colours for this version and it will be the most subdued of the three. Please Note: There are 2 weights of Stonewashed. I am using the Stonewashed XL, not the regular Stonewashed! This will yield a lovely lapghan-sized blanket. I am using 11 shades for this one and it will be quite the colour explosion! This is the perfect size for a baby blanket. I will be using 11 glorious shades for this small version. 23 x Moon Stone (841) – This is not a typo! If you are interested in buying your yarn from Deramores, but you do not live in the UK, you will be excited to know that Deramores offers free international shipping if you spend more than a certain amount (depending on your country). To access the international shipping options, click on the word (change) next to the flag in the top left-hand corner of the Deramores website. You can then select the applicable country. Once you have selected your country, you will see the minimum spend required to receive free shipping. It is worth noting that you don’t have to pay import taxes on these purchases. I am very excited about this project and cannot wait for the CAL to start. Are you in? I am joining a bit late, I would love to crochet this in Stylecraft, I have been looking for a conversion I thought I may have seen in, do you have one or was I dreaming. 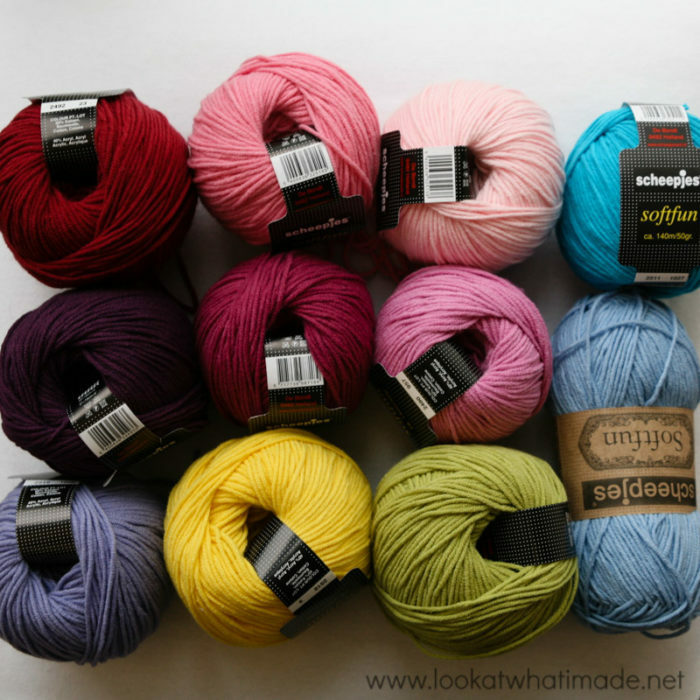 I am unable to collect more than 10 colors yarn i want (using same brand.) I really want to joined the CAL this time. Do you recommend using only one color yarn and I can still make a beautify blanket? Yaya, I have seen many beautiful examples made in only one colour. Lighter colours work better to show off the stitch detail. did the cal start on sunday 18th? I’m starting just now, where can I read the first email? Hi Silvia. You can find all the information and links HERE. I love your blog and I follow it as well as use the tutorials. I do have a question about the current CAL we are all working on. “Sophie’s Universe”. I want my blankets to be rectangular instead of square. I don’t want to wait till it is huge to go from square to rectangle. I would like to start it early on after the square has begun while it’s still small sized. Can you also give advice on how to do the increase on two sides early on after the square has been started? i THINK it will look nicer to get it started early on then to wait till it’s huge and then do it. It won’t show as much with the change over as it would if I waited till it was very large. I will understand if you don’t have advice to give as well. I would figure it out. I just wanted to make sure that whatever each wrong is, it won’t be effected to much by my making the increase after the square has become established. I am new at doing a CAL or any extensive crocheting and I am so excited about doing it. I would like to know what the ounces in US would be for the yarn that is 50g. I am using Caron Simply Soft which is 6 oz except for the main color which is 4oz. I can’t figure out how many skeins of each color I will need. Hi Bonnie. The best measure of how much you will need is not weight, but length. 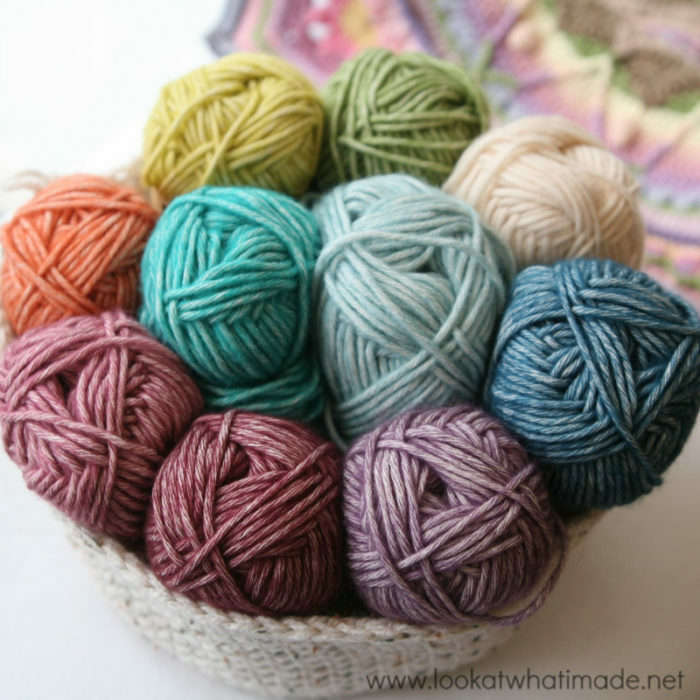 You will find a list of the meters/yards needed for each yarn weight HERE. Then you need to figure out how many meters/yards are in a single skein of your chosen yarn. And THEN you need to divide the total yardage by your yardage per skein, which will give you total number of skeins. Please keep in mind that you won’t be using every scrap of every colour, so you will need to buy more yarn than the predicted amount. Thank you Dedri. That was a help. I will be starting tonight and am very excited to do so. You have created a very comfortable site for friends and help. I just found this post today and I’m super excited to join in! Now I just have to decide on colors and buy my yarn before Sunday. Brittany, I love your blog name. Welcome aboard and I hope you enjoy it! Thank you! Is it okay if I blog about this CAL? I will definitely include links back to this post. Is there anywhere else I need to link to? Hi again Brittany. You will find all the links and relevant information HERE. I ordered my yarn but made a mistake and got the stone wash but not the xl. Can you tell me what the difference is between these 2. Hi Pat. You can always cancel the order if it hasn’t been shipped yet! The normal stonewashed is 4-ply (#2) yarn, which is roughly half the thickness of double knit or light worsted weight. It requires a 3 mm hook and will work up to the same size as the small (Cotton 8) blanket. Libby, you will be able to catch up. You can actually do the first 3 weeks in one week. We just wanted to give everyone plenty of time to get accustomed to each other and the CAL. I hope your yarn arrives soon! Mine arrived in less than 14 days…all except 1 colour. I’m jumping in and joining, super-excited! I bought local courtelle yarn because the colours are beautiful and the local cotton is both pricey and unreliable – not sure I’ll be able to get the same colour if I run out later on. I’m a bit nervous though: using the colours of the lapghan, but I bought four-ply and want to use it double to make the large version – won’t it be too bright & busy for such a large project? What the hey, we could use more colour in our lives! And I think it is a major plus that there won’t need to join blocks! Thank you, it’s going to be awesome! Maryke, it is quite bright, but a pop of colour is just what the doc ordered! I am in, bought my yarn today! And I am super excited, it’s a new yarn for me… Perfection by Kraemer Yarns 30% domestic Merino and 70% acrylic… It is beautiful! Gorgeous colors! I just can’t wait for the pattern! Hi Tonya. That is a very good question! Most of the weeks will take twice as long as the squares from last week’s CAL. Some are more labour-intensive than others, but we have broken the pattern up into quite manageable chunks. To start with you will have between 9 and 15 rounds per week. That soon drops down to 5 – 8. The further we get, the less rounds per week. I just ordered for the 6′ square afghan… will we all be doing all 3? I’m in the US and just wanted to share that I have bought yarn from Dearamores UK several times. They are really great. And I am, like, just SO, SO impressed at how fast my order arrives! I actually got my yarn from the UK faster than my online kitty prescriptions from Illinois (I’m in CA). There has never been a problem with my orders. That is so good to hear. I have had very few hiccups and when they occurred they were due to the post-office, not Deramores. Bubby, that depends on you. I like heavy blankets, but you might not. Using a worsted weight cotton will make for quite a weighty blanket. I am using a cotton-acrylic mix which will be quite heavy already. Ooops! I have just spent a fortune on yarn for this. I best get some WIPs finished whilst I wait for it to arrive and the CAL to start. Am so excited – I’ve gone with the same colours as you and can’t wait to get started. Thank you! Great! Well…not about the fortune bit, but about joining the CAL. I think I might be all crocheted-out preparing for it. If I match the total yards/metres of your Sheepjeswol list with the same total yardage of Stylecraft DK, I should end up with the approximately 6ftX6ft square blanket? Is this correct? If you use 1 strand of Stylecraft Spcial dk yarn and a 4 mm hook, your blanket will come out about 1.4m x 1.4m, which is the size of the “Softfun” dk I will be using. If you use 2 strands of Stylecraft Special dk and a 5.5 mm hook, your blanket will come out 1.8 x 1.8 meters, but you will need double the yardage listed for the ww (stonewashed xl) version I will be making (because you are using 2 strands instead of 1). No worries. The worsted weight option should work if you “grow” it. Additional instructions will be supplied for growing it length-wise as well as all around.